Science Fair Projects. This phrase will strike more fear into the hearts of parents than electrons in a lightning storm. Whether you’re a teacher, parent, kid, or science fair judge, you can quickly turn dread into dexterity with a few quick tips and tricks from the pros of the trade. Thanks for writing One of the keys to a successful project is that it needs to answer a question that you can’t just look up somewhere. It needs to be something that you need to do an experiment to answer the question. “How Birds Fly” is something you can learn easily from an internet search or a library book. A better question might be for example: “How Temperature/Humidity Affects Feathers” and take a bunch of feathers and dip some in water then freeze them, or dip in water and heat them, etc… and see how it changes the feather. That’s just an example off the top of my head… you can come up with something much better than that. Hope this helps! Hi! My name is Reese. I am doing a science fair project for my homeschool co-op in April. I was hoping you might be able to help me, as this is my first science fair ever! My science fair project is a demonstration about “How Birds Fly”. I am comparing the wings of a hummingbird to the wings of a hawk. First of all, I would like to make some motorized hummingbird wings. I was wondering if you knew how to make them or if you might direct me to a source that could assist me in my research. Also, do you know of any experiments that would be good for a project like mine. Thank you for your time. I look forward to hearing from you very soon. Sure thing! I would search for the terms “homeschool science fair” + your city or county and see what pops up. I know there’s a couple of virtual science fairs that folks can participate through remotely that you can search for also. Best wishes! 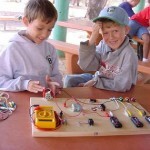 I am looking for science fair opportunities for homeschoolers. Is there links anywhere? Sure have! Lots of them… and they are so much fun! What do you have planned for yours? Aurora, have you ever made it into a big science fair?